Anxiety is a state of nervousness, fear, and constant worry that can occur even in household pets. It is in fact anxiety that often results in a pet owner having to part with his/her pet. Frequently, the anxiety your pet is feeling is misinterpreted and results in sending a pet to a shelter or putting the pet down. This is usually done in fear that your pet is now a danger. Anxiety has a large effect on your pet’s mental health and this in turn affects your pet’s physical health. A common type of anxiety that most people are aware of is separation anxiety. An animal’s physical health will change because of constant anxiety. A physical exam by your veterinarian will thus help determine if anything is wrong. Other tests such as a urinalysis, taking a stool sample, and blood tests can also be done. Anxiety is stress related. Anything that causes your pet stress will cause anxiety. Many different situations can trigger this kind of response from an animal. Changing the environment in any way will have the most significant effect. Anything introduced to your pet’s environment such as another animal or person into the home will cause anxiety. Moving homes would also cause anxiety as things would be in different locations and very unfamiliar to the animal. The best way to treat anxiety is to have a look at your pet’s environment and see what it is that is bothering him/her. There are also many medications available that can help with anxiety. It is best, however, to prevent anxiety. 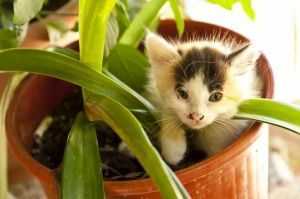 When moving to a new environment as a pet owner you should make your pet feel comfortable and not in danger. An example could be moving homes for the first time. 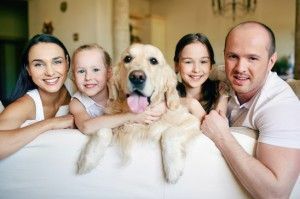 Also, the chances of the development of dog separation anxiety or cat separation anxiety would greatly decrease if you did not make a big deal about leaving your dog or seeing your dog again once you are back.